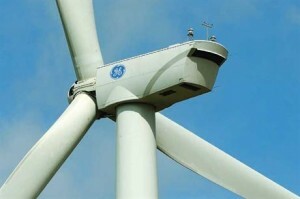 GE is to supply 32 of its 2.2-107 wind turbines for a Brazilian project, the company has announced. The order came from Brazilian power asset developer and operator Omega Energia, which is to build a wind farm in the country’s Piaui region. As part of the contract, GE will provide operations and maintenance on the 32 turbines for 10 years. This is the first order for the new turbine model, which GE described as an evolution of its 1.5 MW series. It is well suited to Brazil’s wind climate, the company added. “The 2.2-107 wind turbine provides a 12 per cent increase in capacity factor and a 33 per cent increase in power output over GE’s current offering while continuing to provide the reliability and efficiency of GE’s wind turbines. We are thrilled to launch a new product again in Brazil,” said Jean-Claude Robert, general manager of Latin America for GE’s renewable energy business. “This new contract demonstrates that the industry recognizes our commitment to our customers and our outstanding execution capabilities in Brazil,” he added. GE employs over 8500 people in Brazil, and in September 2013 announced the installation of its 500th wind turbine in the country. The company has operations in Bahia, São Paulo, Minas Gerais and Rio de Janeiro.